From time to time there are questions about SAM. I hope this Q&A clarifies how the Snowmobile Association of Massachusetts operates and why our partnership is key to the success of snowmobiling and the economy. SAM is not a company, it is a non-profit organization of clubs. We do not receive state funding. Zero comes back to SAM from state registrations. We are self-funded through trail pass memberships and fundraisers (such as the Sled Expo). If you think grooming a ski resort is an expensive undertaking, try grooming 2,000 miles of trails that stretch across the state of Massachusetts. The clubs run SAM. They make the decisions. Each club has a representative (delegate) on the SAM Board of Directors, they are the only ones who can vote on policy. The officers cannot vote. It’s easy to point a finger at a fictitious person called “SAM” but the clubs are the decision-makers. SAM volunteers do just about everything, from running the clubs and the association, to maintaining and grooming trails. 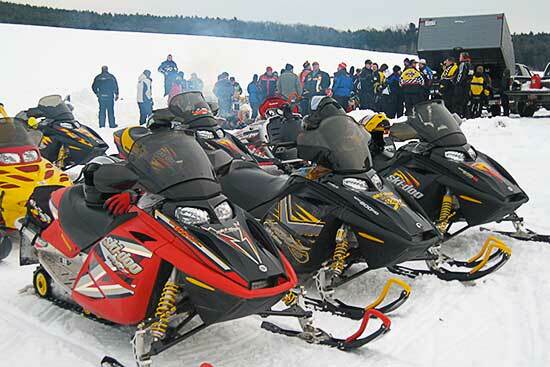 The Snowmobile Association of Massachusetts has a part-time contracted executive director who acts as the initial point of contact and carries out tasks that are beyond the scope of the volunteers. SAM clubs pool their resources to develop and maintain the trail system. We are The Ambassadors of Trails. Without SAM the trails would cease to exist and snowmobiling would halt in Massachusetts. SAM contracts a legislative advisor who represents the best interests of snowmobiling at the State House. We are the only snowmobile activists in Boston. Our lobbying efforts benefit both SAM and the businesses that profit from snowmobiling in Massachusetts. SAM pays a premium in excess of $60,000 annually for general liability that protects landowners with SAM trails. Without this insurance the trails would close. The Snowmobile Association of Massachusetts Board of Directors (the clubs) approved unified dues, $55 early bird, through December 15, and $70 thereafter. We are also investigating online sales. Participating businesses would be able to use the online tool to simplify the transaction and allow immediate trail pass distribution. SAM’s magazine, website, and social media channels are vital tools used to communicate with thousands of enthusiasts in Massachusetts. Our magazine is direct-mailed to snowmobilers. We appreciate your support of SAM. Our continued partnership is vital to protect and expand snowmobiling in Massachusetts.